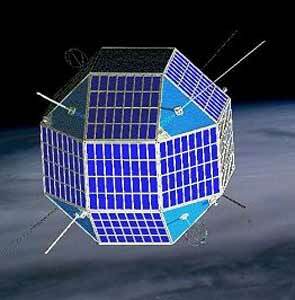 MIMOSA (Micro Measurements Of Satellite Acceleration) is a microsatellite to measure atmospheric drag. The only scientific payload is an electrostatically compensated, six degrees of freedom accelerometer with cubic proof-mass. The accelerometer can detect quasi-steady accelerations of extremely low magnitude of about 10-11 ms-2. The accelerometer is mounted at the center of gravity of the MIMOSA satellite.